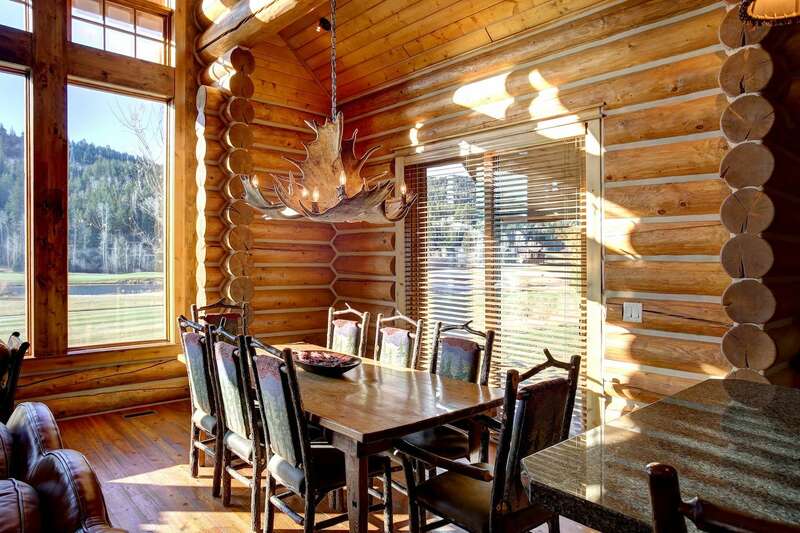 This cozy cabin is located on Warm Creek Lane and overlooks fishing ponds, has a view of the 9th hole of the Headwaters Golf Course and is within walking distance to the Sports Club, Pool and Dining. 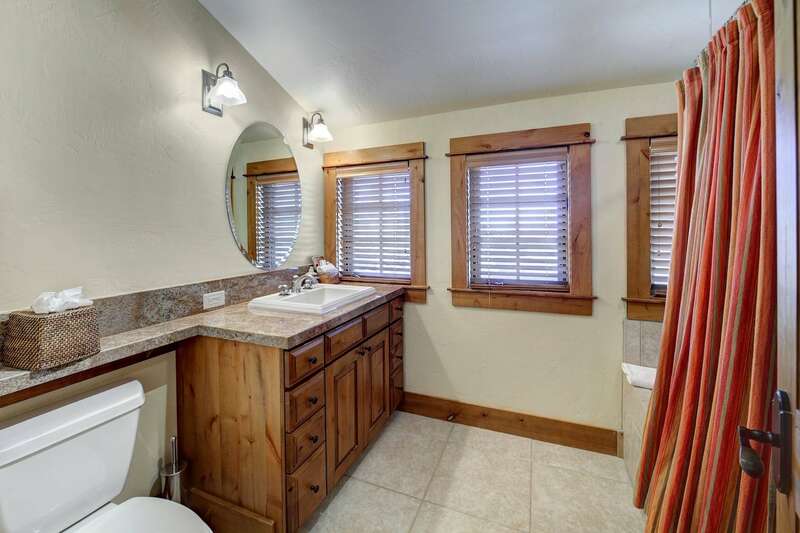 If you prefer to stay home, you can relax out on the main level patio or in the hot tub. 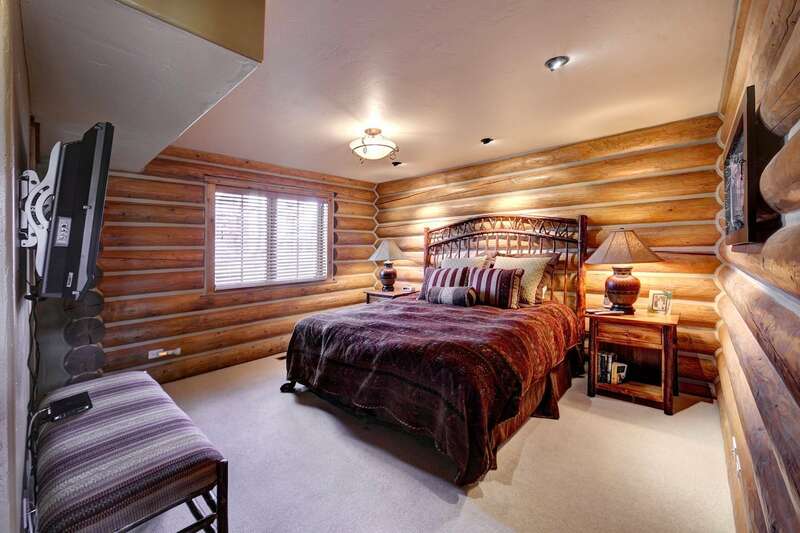 The master bedroom is located on the main level and as a king bed, a large jetted tub and a glass walk in shower. 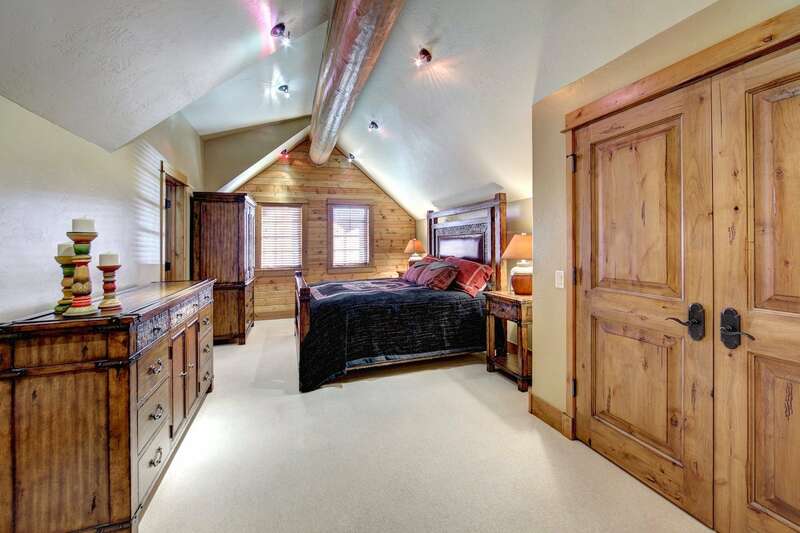 Another bedroom has a king bed with a shower and tub. 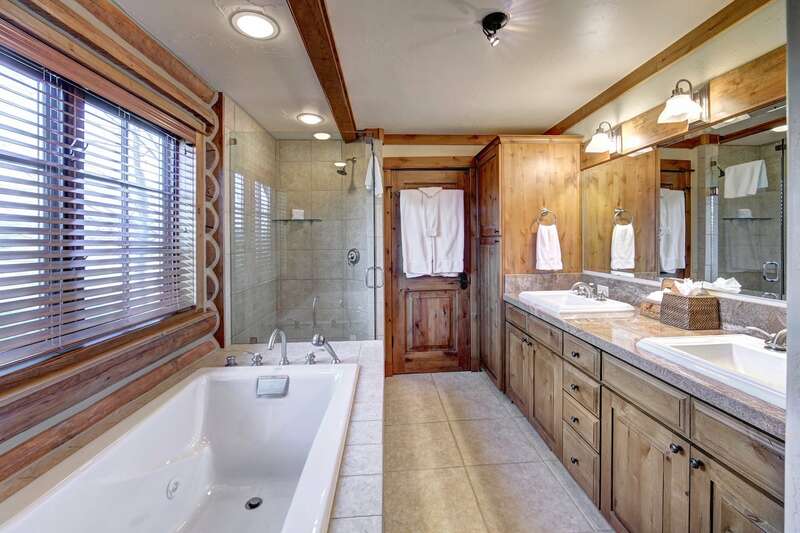 Also located on the upper level is the third bedroom with 2 full beds and a shower/tub. 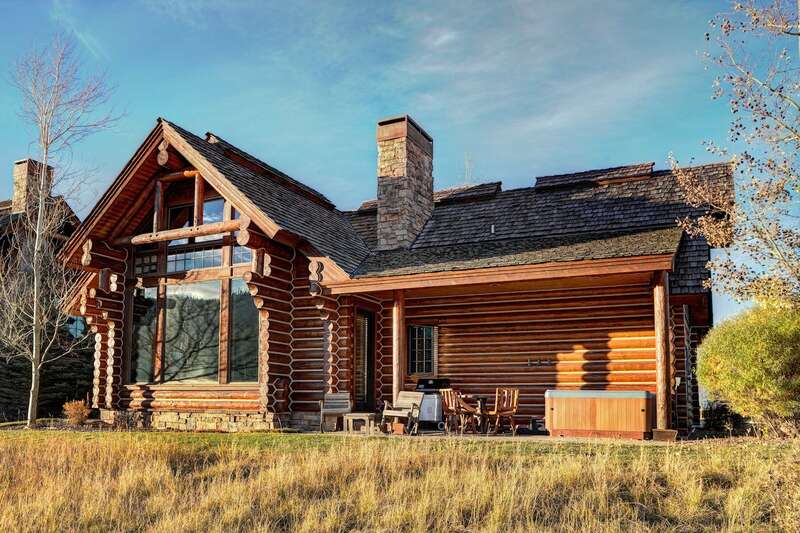 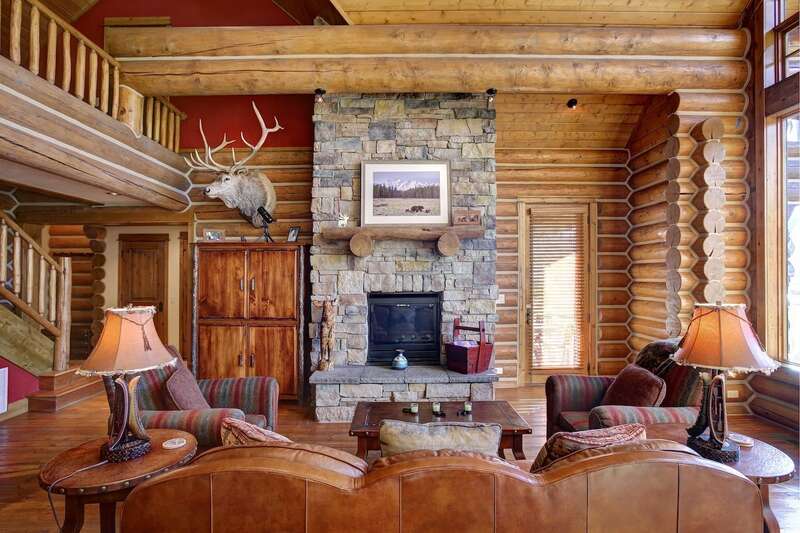 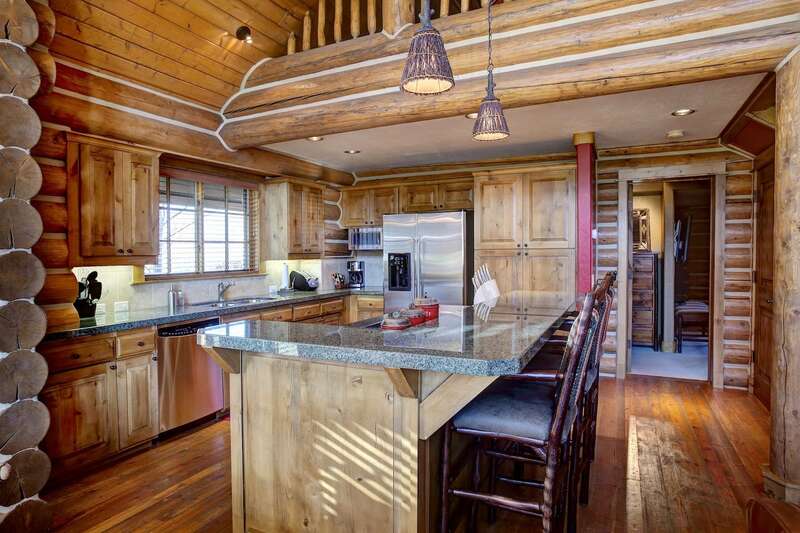 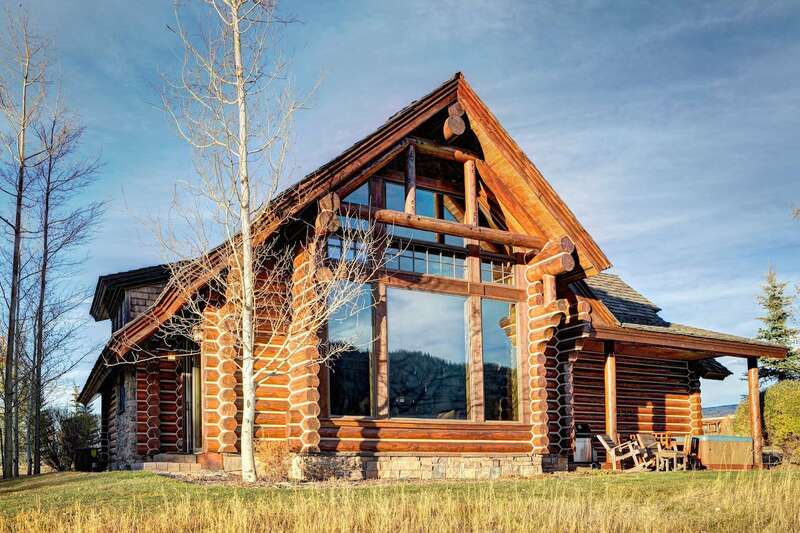 All of the custom, luxury mountain log homes are close to the trails in the adjoining Caribou-Targhee National Forest, allowing easy access to mountain biking and hiking. 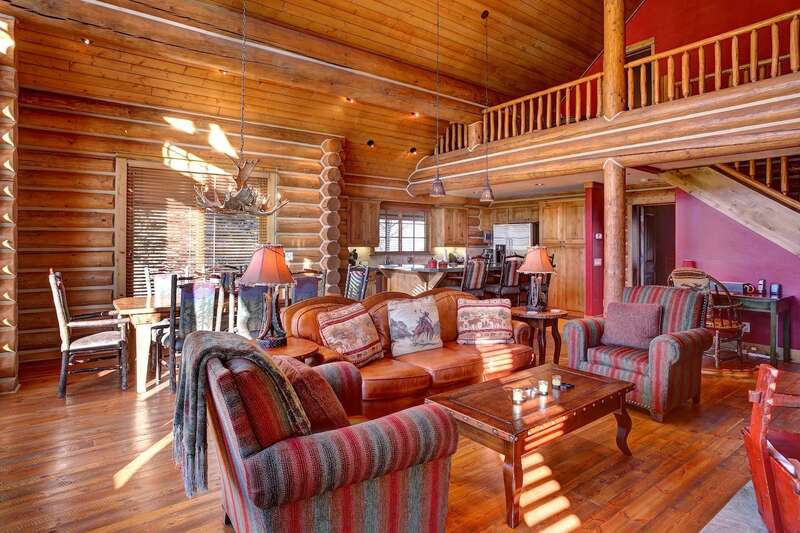 The resort’s 25 meter pool and children’s Geyser Land, hot tubs, Fitness Center, tennis and basketball courts are also conveniently located. 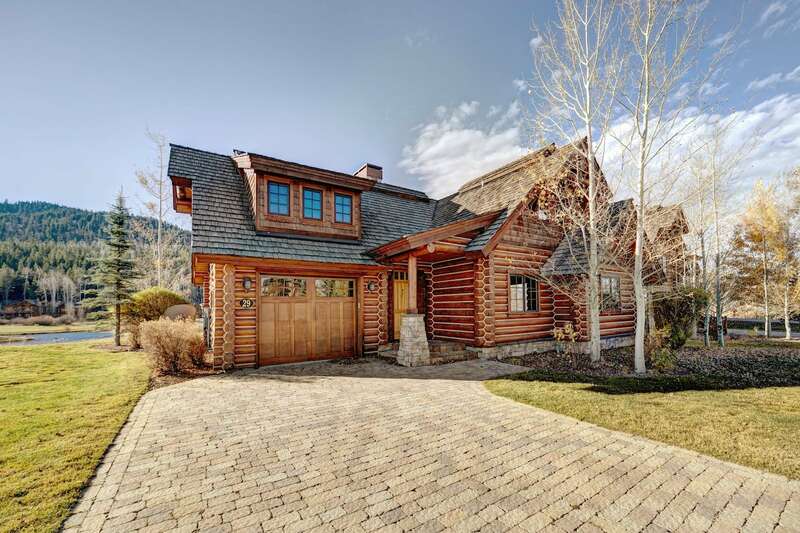 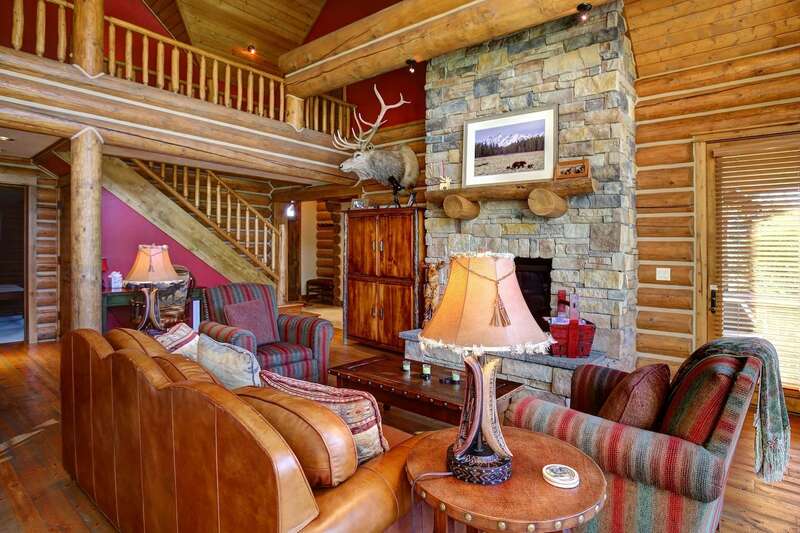 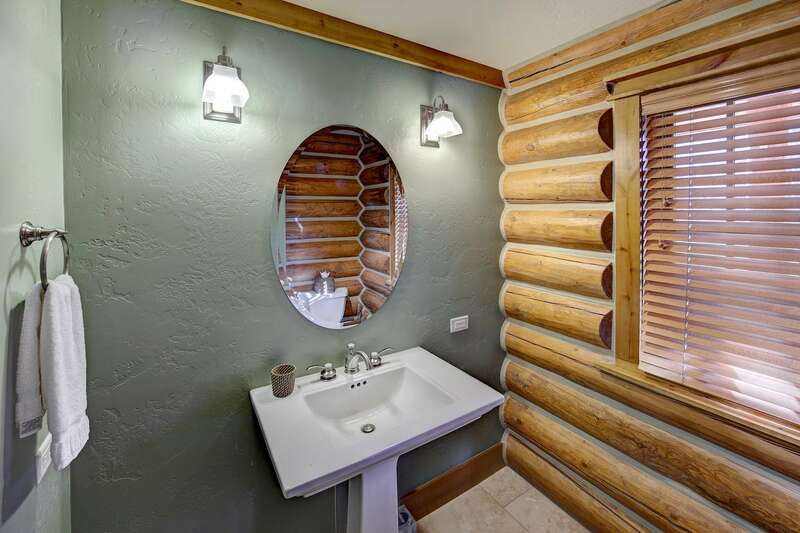 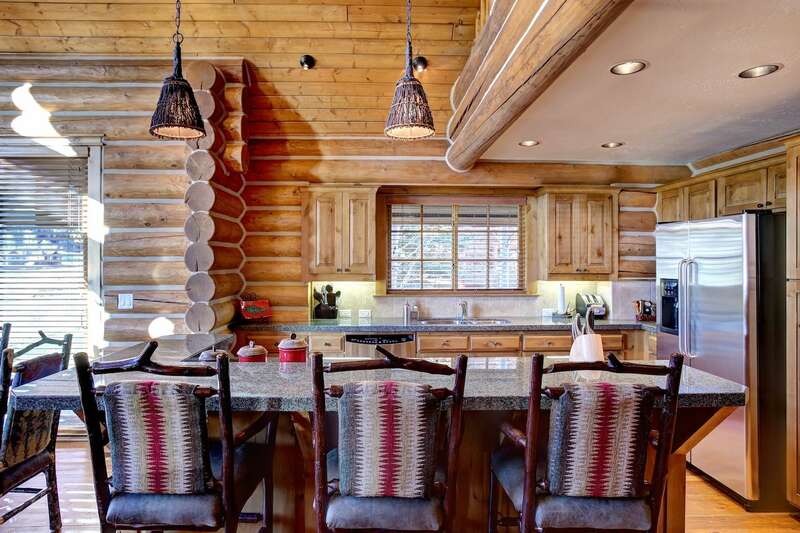 Luxury 3-bedroom cabin with Western decor on golf course, walk to resort amenities.